One of my favorite things to make in the kitchen is appetizers. I love to try little bits of things and have a wide variety of different items. 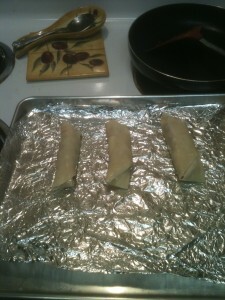 One of my new favorite things to make is these Crispy Taco Rolls. They are going to be perfect for the Super Bowl. There are a couple things I love about these Crispy Taco Rolls. 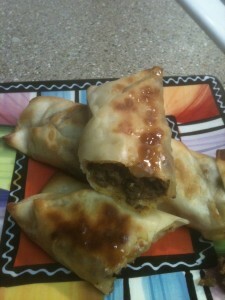 They are bake so low in calorie and you can make them up ahead of time and bake them when you are ready to serve. 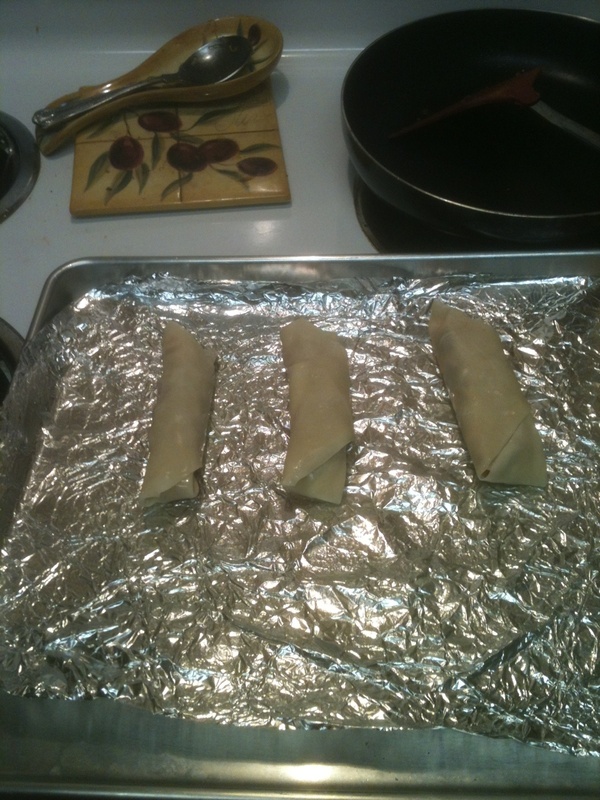 Bake another 5-6 minutes until they are golden brown. After making the taco meat I cut up all my veggies using one of my favorite kitchen tools my Nonstick 4″Paring Knife from Good Cook. 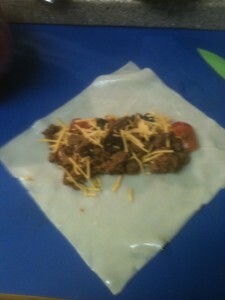 Here is how it looks while you are filling the Crispy Taco Rolls. See how the wrapper is laying flat on my Non-Slip Flexible Cutting Board from Good Cook. After it is filled is when we roll it up. I put aluminum foil on top of my Good Cook 12″ x17″ x 1″ cookie sheet and sprayed it for easy clean up. Then baked my Crispy Taco Rolls. These will be served with salsa, guacamole and sour cream on Super Bowl Sunday. You can make other variations of these crispy rolls – try your favorite combinations like turkey, Swiss cheese, bacon and a bit of ranch dressing or maybe chicken, mozzarella and spaghetti sauce. What combinations do you think sound good?